Contrary to popular belief, not all the fastest cars on the road are coupes, hatchbacks, and sportsters. Sometimes the bigger boys like to play, too. Just because a car has four doors doesn’t mean it doesn’t have something mean under the hood. Many of the fastest sedans could blow both doors off a coupe, rip the hatch off a hatchback, and take the sport out of a sportster. After extensive research at all the usual reliable sources (Car and Driver, Consumer Reports, Edmunds, and Motor Trend), we’ve found the best cars for that job – the fastest sedans. 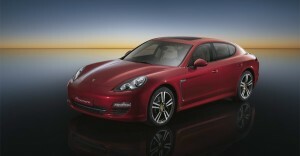 The Panamera is flat-out in a different league than other sedans. The 4.8L V8 with twin-turbocharger boasts a total 540 horsepower and 590 lb-ft. of torque. That’s good enough for a 3.7 second run to 60 mph. Open the doors on acceleration and you’re liable to lift off the ground. Every Panamera is equipped with a ZF-engineered seven-speed dual-clutch automated manual transmission, a device known as the Porsche Doppelkupplungsgetriebe (PDK). 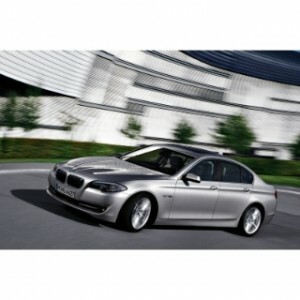 Drivers can choose their driving modes and opting for the Full Sport mode increases driving dynamics in every aspect. 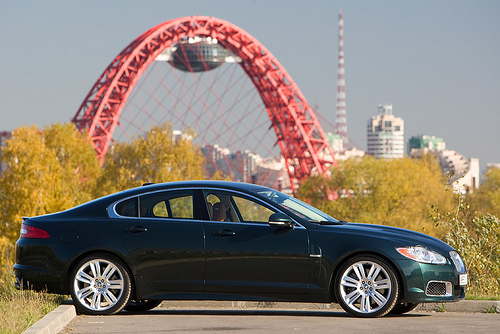 The Jaguar XFR possesses a supercharged 5.0L V8 engine that will crank out 510 ponies and 461 lb-ft. of torque. Despite being a truly luxurious sedan, this car has sports-like power revving it to 60 mph in just 4.5 seconds. It’s driven through rear-wheel drive only and features a six-speed automatic transmission with Sport mode and shift paddles. Its hushed demeanor provides a smooth, comfortable ride but its performance is on par with race-style sport coupes. It has the most capable handling of any Jaguar available. The Impreza STI takes the base 2.5L 4-cylinder engine and juices it up to 305 horses and 290 lb-ft. of torque. That’ll get you moving to 60 mph in just 4.5 seconds, blazing for its class. It also benefits from AWD and a six-speed manual transmission with hill-start assist. Once you kick up to the STI you’ll get the AWD with upgraded limited-slip front and rear differentials. Handling is quite impressive thanks to its firmer suspension and summer-performance tires. Ride quality is very good, but road noise can become excessive. If you’d like a mix of luxury and speed, this is another one of the animals that will give it to you. The 5.0L V10 hammers out a maximum 500 horsepower and 383 lb-ft. of torque. If you go with the manual transmission, you’ll cruise to 60 mph in an overly fast 4.7 seconds. The automatic accomplishes the same feat in 4.8 seconds. Unfortunately, the steering is rather lacking in feel and doesn’t exhibit any of the sportiness or style displayed underneath the hood. Rather disappointing for a vehicle in this price range. Shame on the author for not mentioning Mercedes S65 ! S65 is the most powerful production 4 door on planet Earth and will smoke and leave behind ANY serial production 4 door vehicle, sedan or SUV regardless.